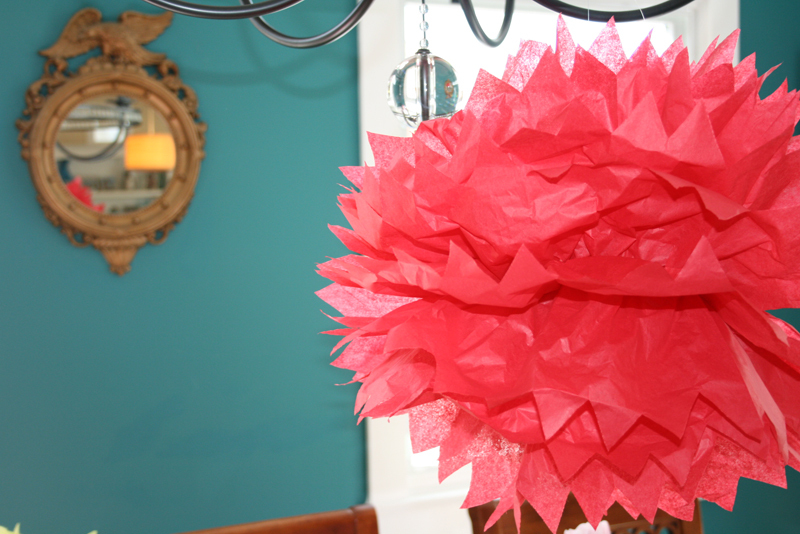 So you want to dazzle your friends with floating pom poms, do ya? Okay! You’ve got two options here. 1. Spend beaucoup bucks and buy them on etsy like I did (still a great option if you’re short on time!) or 2. make them yourself! Let’s save some moola and make them ourselves today. 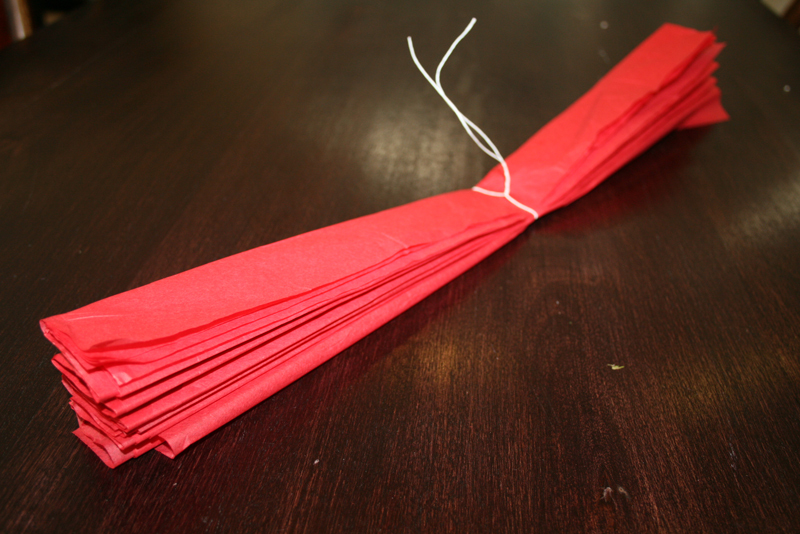 You’ll need 8 sheets of tissue paper per pom, floral wire, scissors, and fishing line (or monofilament as the pros call it but I like fishing line.) 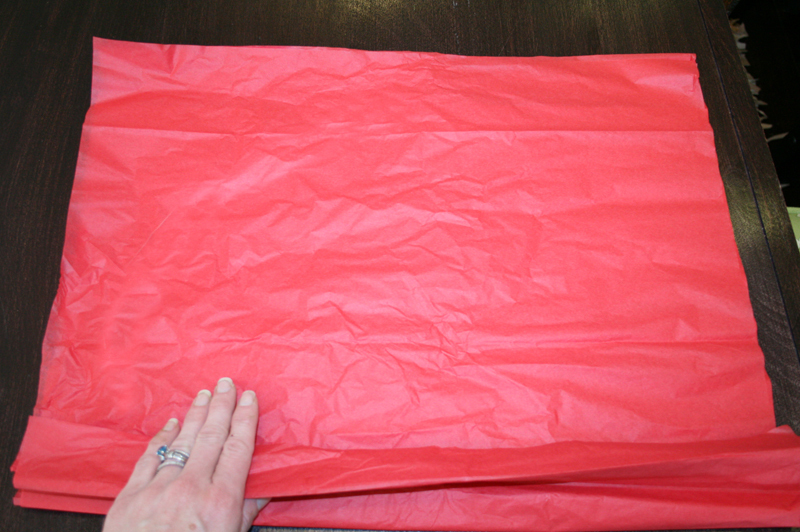 Start by accordion folding the tissue paper into about 1-ish inch folds. 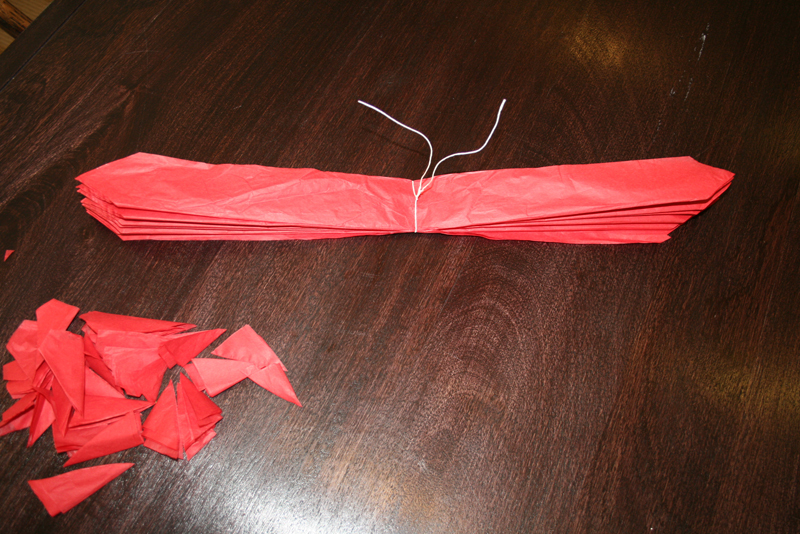 Crease each fold nicely. When you get to this point, wrap that wire around the center and twist, twist, twist. I also attach the fishing line to the wire at this point in the process. It’s easier to do it before you start fluffing the pom. 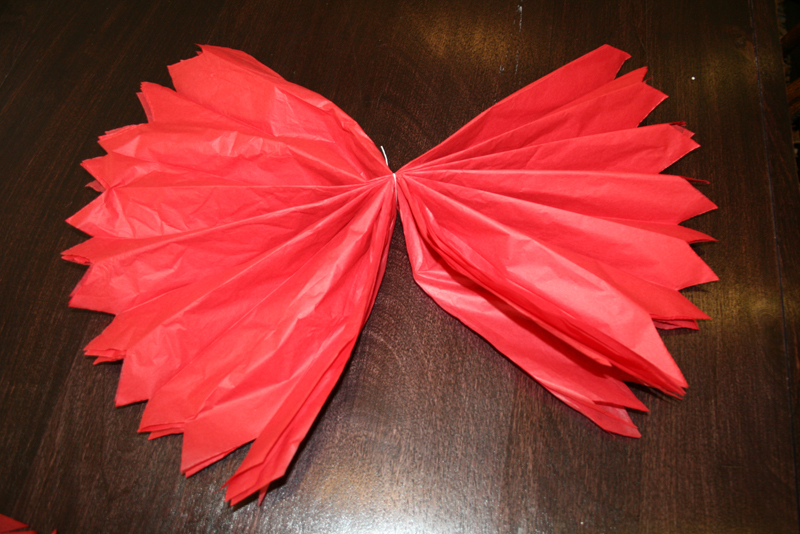 Now cut the edges of the tissue paper in either a V or U shape. Both are super cute. 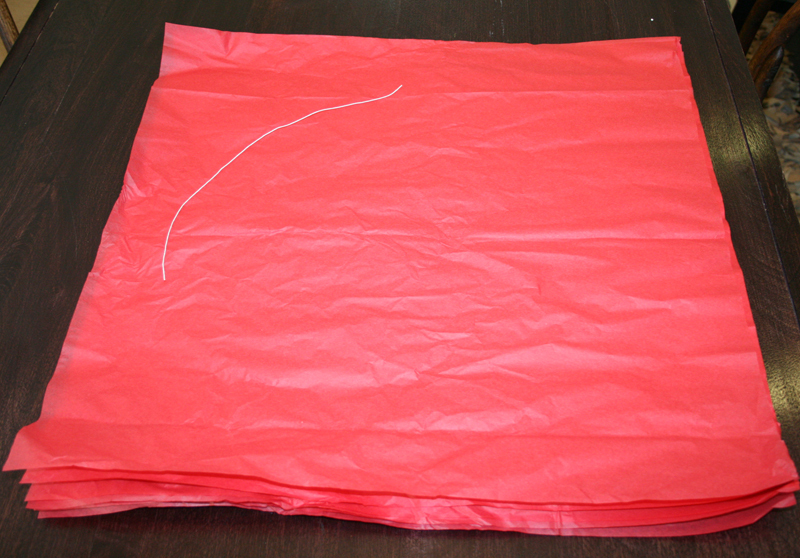 You’ll end up with something like this: Now, layer by layer, gently pull and fluff the tissue paper up, pulling away from the center. Now hang that sucker up and admire your hard work. Repeat about 20 times… or until your hands fall off. Now go grab your husband, mom, friend, or random on the street and make them tell you how creative you are. You know… because we’re only doing all this work for the compliments, right? Oh so pretty! Happy fluffing! And PS: if you want to learn from the pro, you should really just check out Martha’s pretty tutorial. I try, but I’m no Martha. 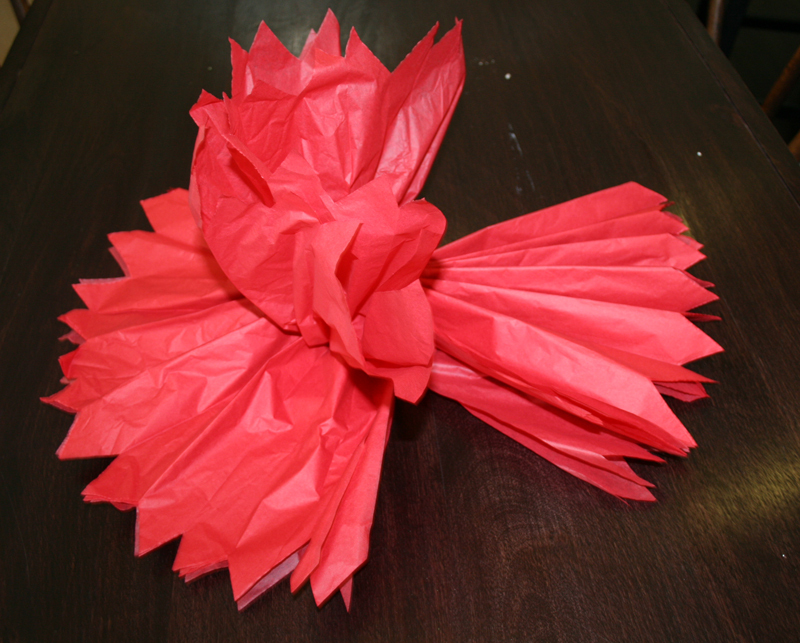 This entry was posted in how to's and tagged hanging tissue paper balls, how to make a tissue pom pom, tissue paper crafts, tissue paper pom by Annika. Bookmark the permalink. You’re right…you’re no Martha…you’re BETTER!!!! I’m hopelessly addicted to your site! It’s fabulous! 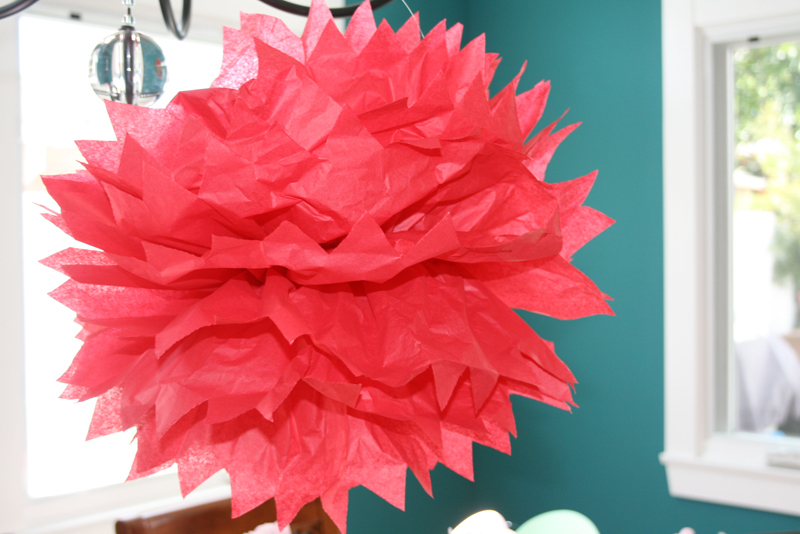 I love the pom poms and the wall color! Any chance you have the name of the wall color? Oh man! I cannot believe I didn’t keep the paint swatch for this paint! I am so sorry! I want to say it was something simple like Carribean Turquoise but I honestly can’t remember! It’s a great color though – I would look for colors in the peacock range because that’s kind of the right hue if you’re trying to replicate it! I just made these for my daughter’s 2nd birthday party. They look great! Thank you for sharing how to make them!